OMG! Coming soon, look at all the new emojis? 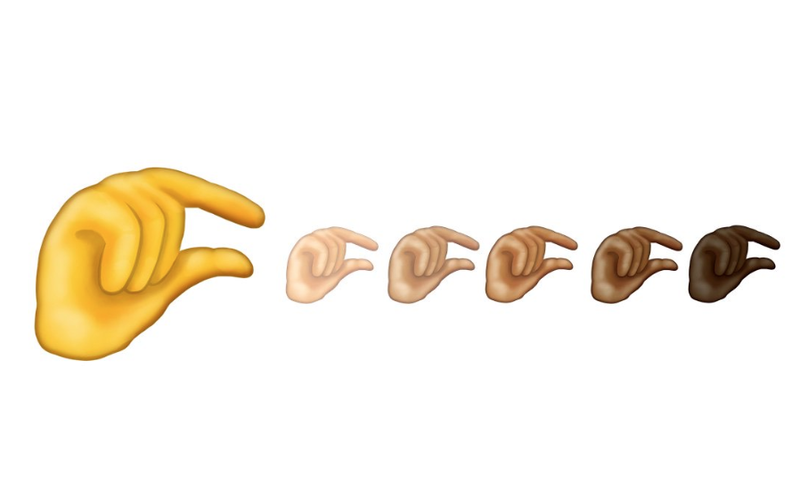 How many times have you typed a message and said to yourself, “Man, I wish there was a _____ emoji!” I know I did, and now we have an eye roll emoji AND a middle finger emoji! It’s no secret that emoji’s are a big part of how people communicate these days, and CLEARLY we needed more. 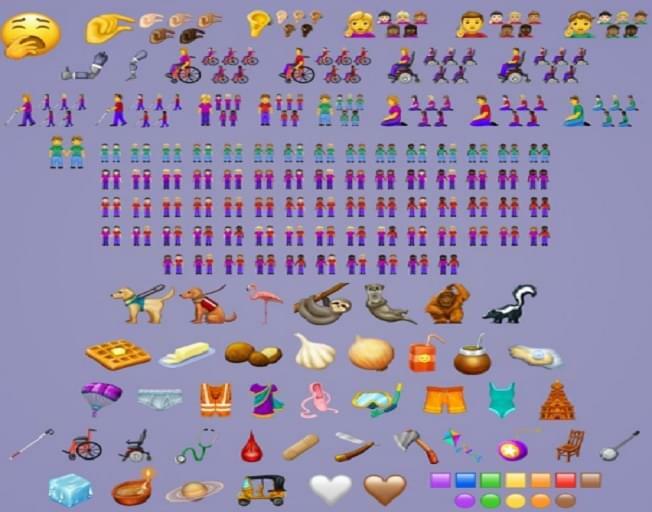 Now everyone is buzzing with the news that 230 new emojis will be heading our way! Some new emojis to look forward to are…the sloth, waffles, parachute, walking dog, and many more. Other emojis being talked about alot are the drop of blood, which people are assuming either represents a period for women (time of the month) or murder. Wow, we just jump to all kinds of conclusions don’t we? We’ll also get a yawning face, an emoji to represent the deaf, one for the blind, and one for those who are unable to walk. There are even service dogs, an otter, flamingo, orangutan, skunk, garlic, ballet shoes, and that’s just the beginning. According to Emojipedia, the pinching hand as well as the other new emoji’s will be released on Mar. 5, but it’ll take a few months before you’ll see them on your devices. We won’t likely be able to use them until October of November! WHAT?! Basically, these days I speak in GIFs, Meme’s, and Emoji’s…some words here and there, but for the most part my point can generally be made with one of the above or below.